Typically all sports teams are represented by two colors. Dressing for gamedays are a piece of cake when you actually like those two colors and look good wearing them. I am definitely thankful that the teams I cheer for (Gators, Sooners, Cowboys and Rangers) all have great color combinations. On the other hand, I know some girls aren't thrilled about their color combos, like blue and yellow (eek sorry Notre Dame). 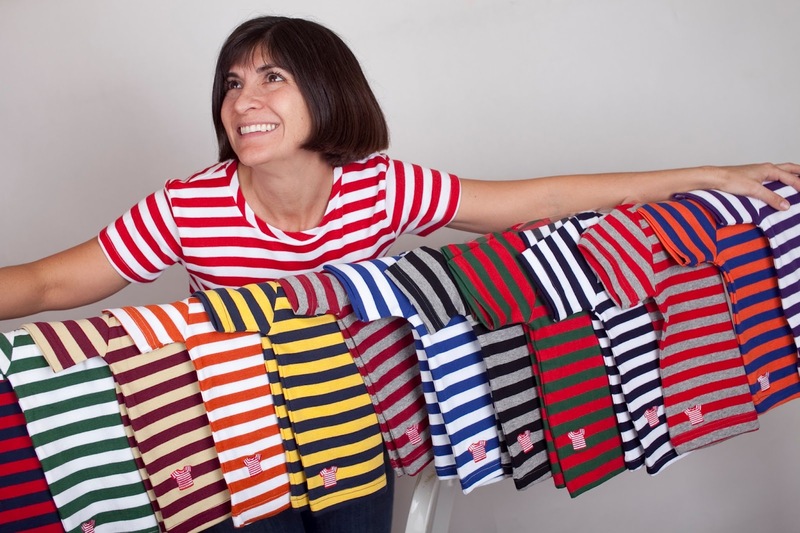 Designer and retailer, Striped Shirt, has created 16 different color combinations to flatter a number of fans and to provide different options. Notre Dame girls, if you happen to rock the blue and white shirt instead of the blue and yellow, we won't judge! Their tees are super comfy and made up of a jersey knit that doesn't stretch out.